And, indeed, Grant County Sheriff Glenn Palmer was in John Day, Ore., waiting for a town hall meeting 90 minutes later featuring principals of the then 24-day-old occupation of the Malheur National Wildlife Refuge, including Finicum and occupation leader Ammon Bundy. 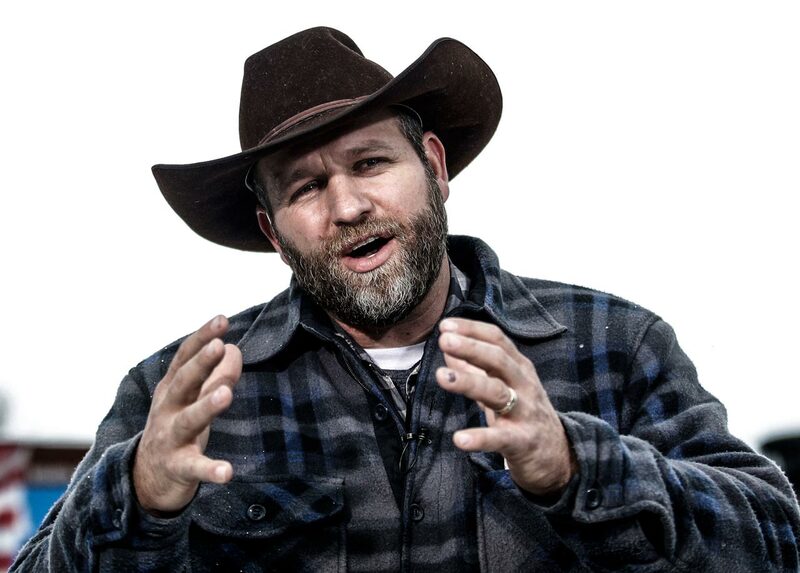 Both Palmer and Bundy were expected to speak at the gathering that had been organized by occupation sympathizers. But Palmer, whose county adjoins Harney County, where the occupation took place, had been told nothing of the Jan. 26 roadblock — for very good reasons. He had already met twice with leaders of the occupation, and witnesses described how he had them autograph his pocket copy of the Constitution. 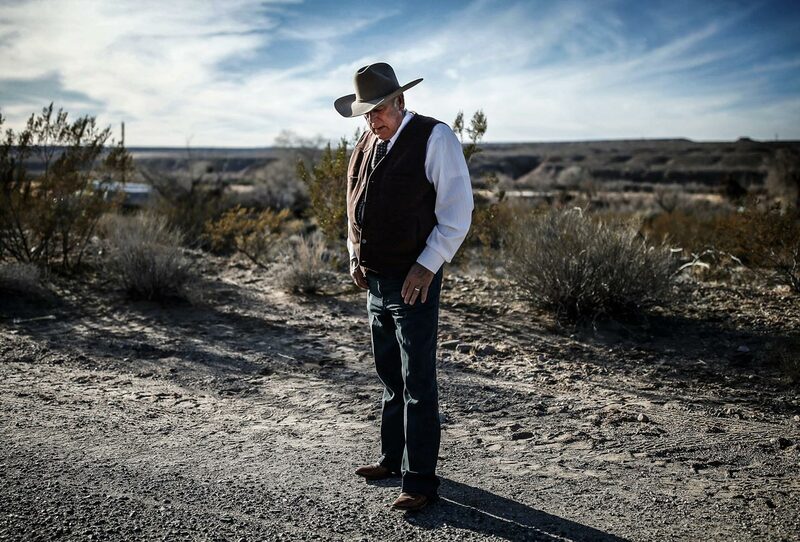 He had referred to the occupiers as “patriots” and endorsed their demands for the release of two ranchers imprisoned for arson on public lands and the departure of the FBI. He boasted about his refusal to enforce laws that he believed were unconstitutional, and he was known for picking fights with land use officials. Unlike the sheriffs of the four other adjoining counties, he had sent no deputies to help out in Harney County. Glenn Palmer was not trusted in law enforcement circles. So when organizing began for the arrests of the people who had broken into, occupied, and trashed the Malheur park building, officials moved their plans for a roadblock from Grant to Harney County. Then, apparently fearing Palmer might warn off the militants, the officials decided not to tell him anything about it. In the following days, nine complaints — two of them from John Day officials, including the town’s police chief — were lodged against Palmer, who did not return repeated requests for comment from the Intelligence Report, with the Department of Public Safety Standards and Training. And the state Department of Justice has now opened a criminal investigation into one of those complaints. Sheriff Palmer, who is running for his fifth four-year term this November, is a dramatic example of a new kind of radical that is springing up around the country — the so-called “constitutional sheriff.” In fact, in 2012 Palmer became the very first to be named “Sheriff of the Year” by the Constitutional Sheriffs and Peace Officers Association (CSPOA), a far-right group that calls itself “the last line of defense standing between the overreaching government and your Constitutionally guaranteed rights.” The CSPOA has long claimed the support of more than 400 sheriffs. At a time when anger at the federal government over issues like land use and environmental regulation in the rural West is running higher than it has in years, the CSPOA and a closely related group, the Oath Keepers, are working tirelessly to make inroads into the ranks of American law enforcement. Sheriffs around the country report that they regularly hear from the groups, by phone, fax and other means, as they attempt to enlarge support for their positions. The country has rarely, if ever, seen such a concerted and long-term effort to bring sheriffs and other law enforcement officials to an ideology that proposes to openly defy federal law. How strong are the CSPOA and its leader, former Arizona sheriff Richard Mack? Does Mack, who once worked for the radical gun rights group Gun Owners of America, really have the support of hundreds of the nation’s 3,000-plus sheriffs in defying the rule of law? The Intelligence Report recently tried to find out. Richard Mack, who formed the CSPOA in 2011 with a promise to persuade local governments to issue declarations to the federal government “regarding the abuses we will no longer tolerate,” has repeatedly declined to publish or provide a list of the sheriffs he says are backers or members of the CSPOA. Although media outlets have reported that he claims more than 400 supporters or members, Mack told the Report that the CSPOA had only “trained” that number of sheriffs. He said the focus of his group was not on recruiting members but on persuading sheriffs to adopt the group’s positions. But he also claimed the CSPOA has “about 5,000 members,” including sheriffs, police chiefs, peace officers and other citizens. He said he didn’t know how many of those were sheriffs, but noted that the CSPOA is now making a major effort to run sheriff’s candidates. In 2014, however, the CSPOA did publish a list (since taken down) of 485 sheriffs who, in the group’s words, “have vowed to uphold and defend the Constitution against Obama’s unconstitutional gun measures.” Although that is not the same thing as being CSPOA supporters or members, the number of 485 is notably similar to the number of CSPOA trainees claimed by Mack. The Report worked in May and June to contact all the sheriffs listed to get a sense of their support for the CSPOA and its policies. A small percentage of those men and women had retired, died or lost bids for reelection. A much larger percentage failed to respond to phone calls or emailed questionnaires. In the end, the Report spoke to about 50 sheriffs. The sampling was not large enough to come to any definitive conclusions. But it almost certainly understates the level of radicalism among the nation’s sheriffs. That is partly because many of those most sympathetic to Mack were likely among the 400 or so sheriffs who declined to answer queries from the Report, which has published articles that were critical of Mack and the CSPOA in the past. Fifteen of the sheriffs reached by the Report described themselves as present or former members or supporters of the CSPOA. Seven said that they had written letters or made statements in conjunction with the organization. And seven said they were likely to resist federal authorities trying to impose new gun controls. 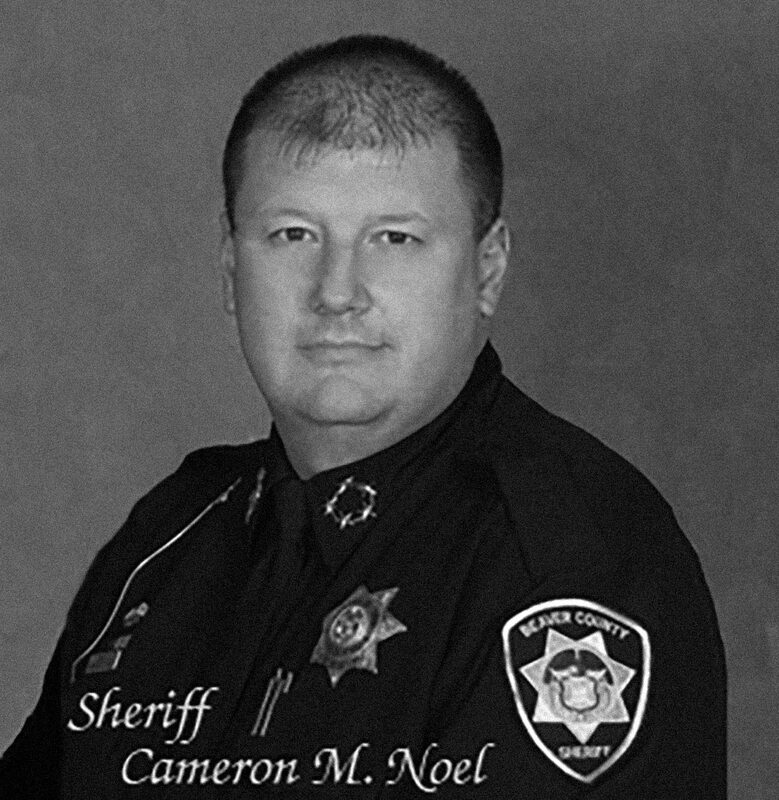 Beaver County, Utah, Sheriff Cameron Noel said he believed that he could keep federal officials out of his county or at least demand that they seek his permission. Sheriffs, he said, are a last line of defense against federal tyranny. 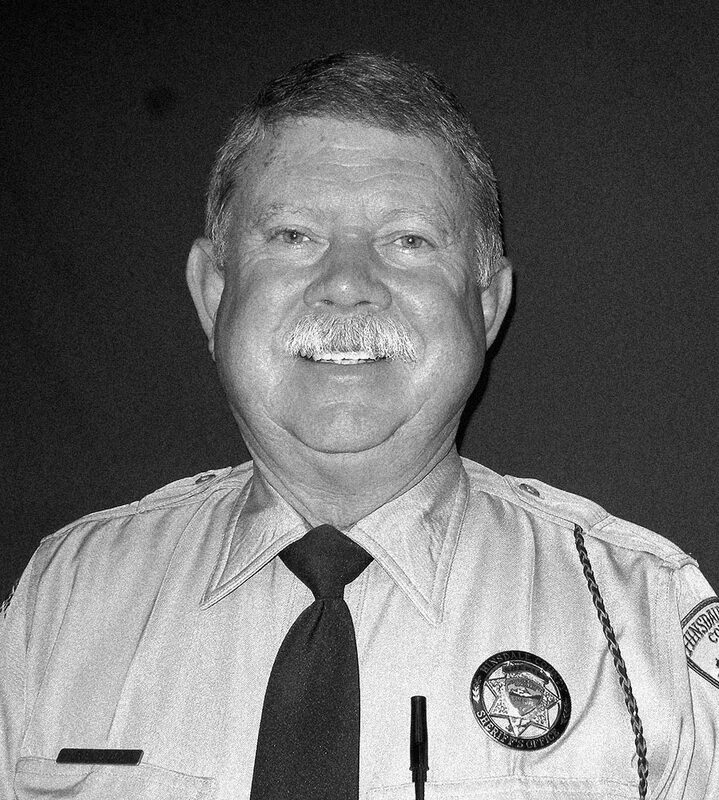 Oddie Shoupe, the sheriff of White County, Tenn., said that he would fight the federal government, if it came down to it, and that any attempt to seize guns in his jurisdiction would result in “war.” He said he didn’t oppose citizen militias, so long as they reported to him, and added that if further federal gun control came to his county, he would deputize every militia member he had to resist. That’s only the start. Scores of sheriffs around the country who did not speak to the Report have been quoted in the media making similar statements. According to High Country News, for instance, Montezuma County, Colo., Sheriff Dennis Spruell appeared on the white nationalist radio show, “The Political Cesspool,” and threatened to arrest federal officials who closed roads on public lands. 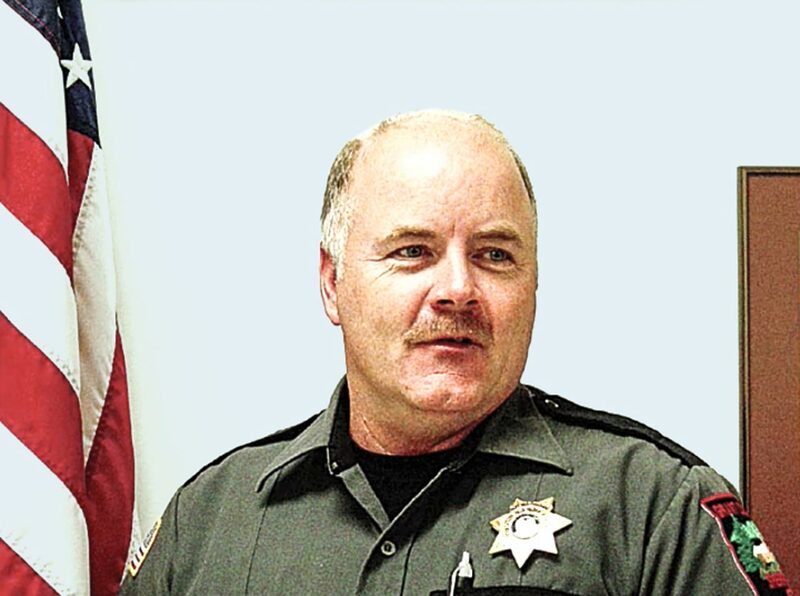 This June, California officials were in Siskiyou County monitoring polling places on primary election day after reports that Hmongs, members of an Asian ethnic group, were facing voting intimidation led by Sheriff Jon Lopey. According to the online news outlet Raw Story, Lopey, a former CSPOA board member, set up a checkpoint and deputies allegedly stopped only cars driven by Hmongs. A Hmong leader also told the Redding Searchlight that officials carrying assault rifles went to Hmong homes and threatened to arrest people who tried to vote illegally. Lopey, who renounced his membership with CSPOA over what he said were the organization’s increasingly “extreme positions” on the Constitution and federal government, denied those allegations. “No one was threatened, and I would never condone discrimination against any person or group,” Lopey said. The Report’s survey revealed another remarkable fact about the CSPOA’s list. Time and again, sheriffs told the Report that they had never spoken to Mack, did not support the CSPOA, had never signed a CSPOA document or letter, but still somehow ended up on the organization’s list. Many of them were strong supporters of the Second Amendment, but many also sharply criticized the CSPOA. The battle over the use of public lands — which also includes fights over environmental regulations, closing of formerly public roads, and law enforcement powers accorded to the BLM and other federal agencies — is not new. Ever since a 1976 federal law ended the historic practice of homesteading, there has been resistance in the rural West to the idea that unelected federal agencies were legitimate stewards of publicly owned lands, even though a large number of court decisions in the 1980s would conclude definitively that they were. Farmers, ranchers, extractive industries and others wanted more access to the land. The Sagebrush Rebellion of the 1970s and 1980s, followed by the Wise Use movement of the late 1980s and early 1990s, explicitly sought an end to all federal control of public lands and an expansive definition of property rights. They were cheered by tens of thousands of Westerners, along with interest groups like those associated with extractive industries. A large number of politicians — then-President Ronald Reagan called himself a Sagebrush rebel — also joined the chorus. 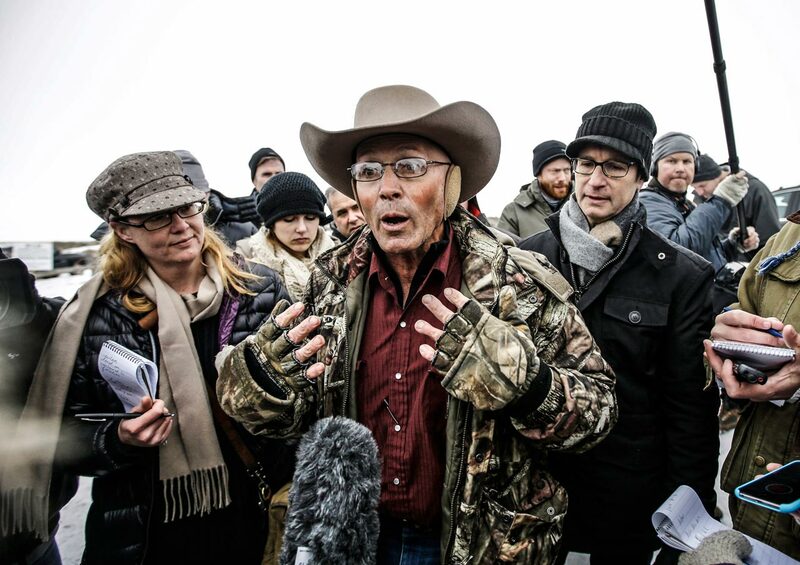 Richard Mack had nothing to do with the Posse, and he has repeatedly disavowed violence. He says that the CSPOA did not support the Malheur standoff, although he did speak at a nearby rally that was attended by militants who invaded Malheur just hours later. The CSPOA did, however, support the Bundy family and others in the 2014 Nevada standoff, for which 19 people now face criminal charges. Mack has been associated with other hardliners. He became an iconic figure in the militia movement after he sued the federal government in 1994 over the Brady gun control bill and won a partial victory, prompting the National Rifle Association to name him “Law Enforcement Officer of the Year.” Later in the 1990s, he wrote the introduction to a book by white supremacist Randy Weaver, who engaged in a deadly standoff with federal officials in Ruby Ridge, Idaho, that began after Weaver was arrested for selling a sawed-off shotgun to a federal agent. More recently, he has worked with the John Birch Society — the group that infamously called President Dwight D. Eisenhower a communist agent — the Oath Keepers (on whose board he sits), a variety of Tea Parties, and a host of antigovernment organizations. 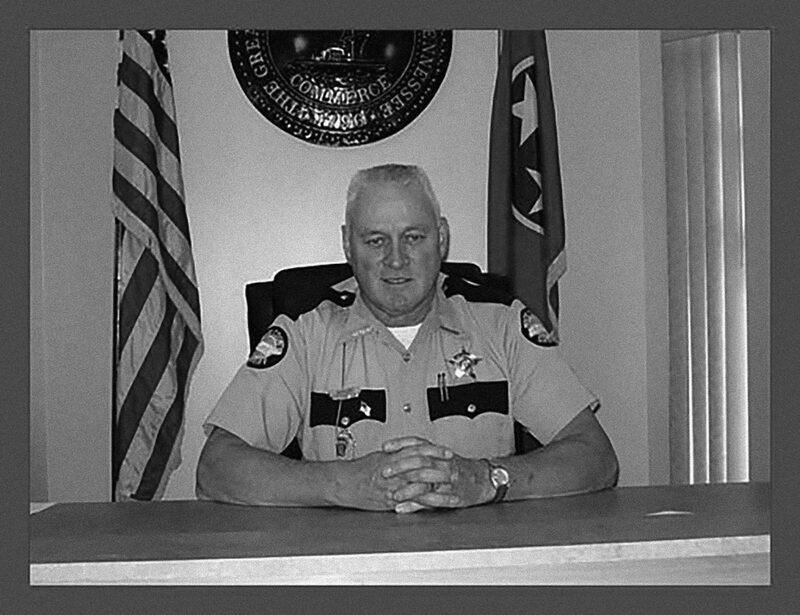 In 2009, Mack wrote The County Sheriff: America’s Last Hope, portraying sheriffs as the “last line of defense” against Washington. He began to claim that if there had been a “constitutional sheriff” in Montgomery, Ala., in 1955, that person would have ignored local segregation ordinances and freed Rosa Parks. In the next years, the movement began to take off. In 2013, newly elected Liberty County, Fla., Sheriff Nick Finch caused a furor when he freed a driver who had been arrested for carrying an illegal concealed weapon. Although Finch was charged with misconduct, Mack and other supporters packed the courtroom, and Finch was acquitted and even later won back pay. The same year, responding to pressure for gun control following the 2012 massacre of school children at Sandy Hook Elementary School, dozens of sheriffs, including Grant County’s Glenn Palmer, were spurred by Mack to write the White House promising that they would not enforce “unconstitutional” gun laws. But it was the 2014 standoff at the Bundy ranch in Nevada, and the federal government’s decision to stand down when confronted by hundreds of armed Bundy supporters, that truly sent the movement soaring. Militants forced their way into a closed canyon in San Juan County, Utah, provided armed defenses for miners in disputes with the government in Oregon and Montana, and engaged in other similar provocative actions. On Jan. 2 of this year, the Malheur occupation began. More than two years after the 2014 standoff in Bunkerville, Nev., and in the aftermath of the Malheur occupation’s final rout after 41 days this year, it’s obvious the federal government is finally getting serious about the abuses of the militants seeking to end federal control of rural American public lands; 44 people now face serious criminal charges in connection with the two Bundy standoffs. But Richard Mack and his group continue to work overtime to spread the ideology that is behind this movement, even if they disavow some of the more extreme results. If that is so, it’s not a good thing. As a recent report on the movement from the Center for Public Integrity (CPI) concluded, the CSPOA’s “ambition is to encourage law enforcement officers to defy laws they decide themselves are illegal.” The CPI also reported that Mack, during a recent training for police, told officers “gun control is against the law” and added that his goal is to get a quarter of the nation’s sheriffs to join his group. The spread of this ideology has consequences. The number of threats and assaults against the BLM rose from 15 incidents in 2014 to 28 in 2015, according to Public Employees for Environmental Responsibility. The number of incidents targeting the U.S. Forest Service rose from 97 in 2014 to 155 last year. Remarkably, the National Sheriffs' Association — which says it is “dedicated to raising the level of professionalism among sheriffs, their deputies, and others in the field of criminal justice and public safety so that they may perform their jobs in the best possible manner” — has little say about the CSPOA and its goals. Despite the spread of an ideology among sheriffs that virtually no legal scholar agrees with, the organization says only that it doesn’t offer advice to individual sheriffs. “The association’s leaders never opines [sic] on how individual sheriffs should behave because their authorities vary so widely from state to state, and because they are ultimately accountable to voters,” according to a statement from Deputy Director John Thompson responding to questions from the Report. Chris Hoffman, the sheriff of Ravalli County, Mont., may have said it best. He told the Report that he sympathizes with his constituents’ anger at environmental, land use, and gun regulations that seem to grow more stringent by the day. Also contributing were Alex Amend, Heidi Beirich, Rose Falvey, Keegan Hankes, Bill Morlin, Stephen Piggott and Sarah Viets.